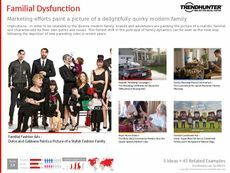 Find Better Ideas, Faster ® with a custom parenting product trend report, our PRO Dashboard and 80+ categories of premium trend reports. 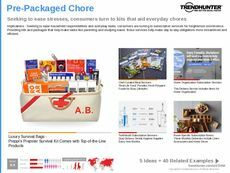 More and more products have been released that aid parents with the care of their children -- the Parenting Product Trend Report highlights the latest innovations in products catered to parenting. Most of the trends in this report feature products that prioritize convenience for parents, while ensuring comfort for children. Some of these trends include wearable devices for babies, educational apps for children and sleep-monitoring devices. A pattern of technology-assisted products is dominating this ever-growing field. 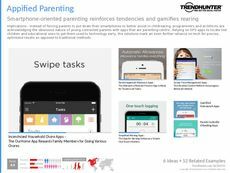 The Parenting Product Trend Report is geared towards individuals currently working on the research and development stages of new baby products, those in the toy industry, app developers and product designers. This report provides great insights on major shifts in parenting and child development. Through Trend Hunter's research, find out how some of the world's best brands continue to revolutionize the parenting product field, and how innovation can be fueled within your team.